CryptoGames will help indie-studios to launch their games using Cryptogame (BTT) tokens, the platform's new currency. It’s nearly impossible to launch a mobile game without outside investments today. Most game developers meet this problem head on, even those with very promising products. For those that do succeed, many have lost a great deal of possible profits in the beginning stages of a project, sometimes without a large initial splash. CryptoGames has met similar circumstances, however the group has managed to utilize a unique solution that can be deployed across the broader industry. The numbers across the gaming industry are no secret, as all the data is available to the public. With a market cap over $100 billion, this figure is expected to rise per annum for the foreseeable future, which makes this area very attractive for investment. Common funding mechanisms seek to take control of a company, often seizing those rights from original developers. However, crowd funding is also limited by its ability to attract only final consumers. Enter blockchain, which can rewrite the rules of the game and change old ways via an initial coin offering (ICO). In this sense, ICOs provide equal and convenient opportunities for everyone to get a piece of the future profits in a common and well-known business. As such, CryptoGames will help indie-studios to launch their games using Cryptogame (BTT) tokens, the platform’s new currency. The group’s ICO will also coincide with the team’s launch of their own game – Battle of Titans. Boasting over ten years of experience, the group has under its belt dozens of successfully launched projects that constitute a lengthy background of expertise in game development and marketing. This led to Cryptogames’ team choosing only the most streamlined products for the release on their platform. Indeed, there is already a pool of requests from indie-studios regarding a collaboration with CryptoGames. The group’s team has already created a gaming module with an estimated valuation of around $10.0 million in two years, starting with just a $1.0 million budget. This staunch growth in valuation serves as an endorsement for would-be investors. BTT is non-emitting with its growth fuelled by the continuous buyback from the percentage of revenue of all the projects on the platform. Consequently, the first token’s price increase is likely to take place following the duration of the ICO itself, which is scheduled for October 29, 2017 – this will also coincide with Battle of Titans launch on iOS. Users will be able to spend BTT as an in-game currency for all projects on the CryptoGames platform. All the collected BTTs go straight to the CryptoGames foundation where they can only be used for future crowdsale opportunities to launch new projects. Tokens will also be available for in-game purchases and a certain percentage of revenue will always be spent for the token’s buyback. The key difference lies in the amount of money needed for new projects – caps will be set in accordance with the market. The overall initiative will draw on the studio’s CEO, Nikolay Karpov, who has experience in navigating such projects. Interested individuals are invited to consult the group’s white paper. In anticipation of large growth, the group is also setting some high goals. More specifically, besides deploying new games on the platform, the group will dedicate extensive time towards the main project of the studio – Battle of Titans. Unreal Engine 4 will help facilitate the power of computer graphics and physics on the portable devices. Consequently, PC and Console versions are already lined up for the nearest future. Additionally, PvP-oriented gameplay with a manual aiming system will help stimulate the cybersport component of the game. 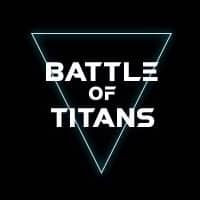 The group will be making periodic updates and news announcements regarding the Battle of Titans’ first tournaments and teams. In this sense, CryptoGames will become the first fully-fledged cross-platform service where any studio will have an ability to place and launch its product, securing new players and proper investment. Prospective investors will not have to wait very long for a future project in development – the first game is already ready to be launched. Moreover, 25 percent of all funds raised during the ICO will go to the market, which will be key in establishing tokens’ high initial price. Of note, there will be no tokens emission and all unsold tokens will be burnt after the ICO. There will also be a permanent BTT buyback with 15-60 percent, pending the goals reached during the ICO, of all the Cryptogames’ profits. The group will be displaying all measures of accounting and progress via live statistics. There will also be a large discount to BTTs, given an artificial deficit. This is due to tokens being spent as an in-game currency. As a further incentive, some in-game goodies and ad-ons can only be bought with BTTs. Individuals looking to the long-term, can also keep their BTTs, which in essence makes them a co-Founder so to speak for all the future projects. In terms of game developing studios, these groups can use money for their respective products for launches using clear and fair conditions. Cryptogames’ broad expertise will also be available to help on game development. This includes monetization and technical problems fixing, multi-language translation, and adaptation, etc. Finally, for gamers, BTTs offer a chance for unique prizes for all ICO and crowd sale participants. This includes bonus tokens during the ICO later this month and special in-game items, exclusively available for purchase with BTTs. BTTs can be sold for BTC/ETH on the market at any moment as well. Lastly, every BTT owner can have a Closed Beta Key for any new games on the platform. without outside investments – what is that? does this have meaning? CryptoGames has met similar circumstances – what is the source for this statement? there is already a pool of requests from indie-studios – source? why r u guys so blatantly promoting this company? this article seems to be an unabashed promotion of the company by FM, which claims itself to be a news website. great.